We’ve all read 100’s of articles about bots by now, from how to build them to how they’ll change the world. Quite a lot of us ( including myself ) have probably tried to create our own or started to look into what this means for the future of design and the industry as a whole, but do we really understand it? Microsoft has gone as far as to announce that the operating system of the future isn’t Windows, but “conversation as a platform.” Whilst Facebook is pushing chatbots so much that CEO Mark Zuckerberg says they’re the key for businesses that want to sell to Messenger’s 900 million monthly users. Facebook announces their chatbot platform. With any ‘next big thing’ comes a host of people clambering to makes sense of and understand what it is and how best it can be used. In the case of the ‘chatbot’ phenomenon that seems to mean well over 11,000 new bots on Facebook messengers service in the past 2 months. Most of which are companies falling over themselves to create a simple chatbot as a some kind of replacement for customer service, some with more success than others. 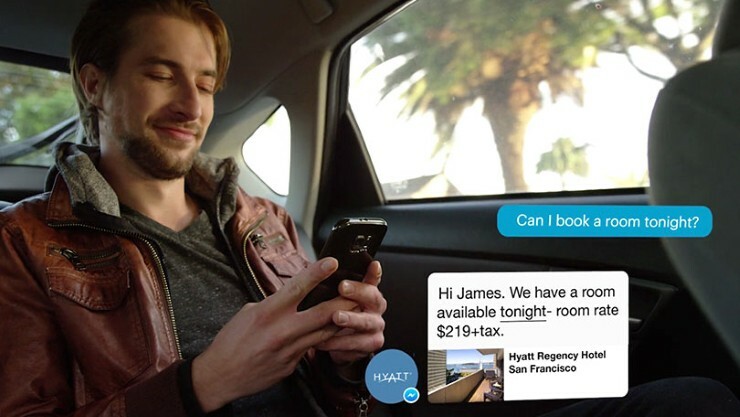 But is the industry, in the rush for their very own chatbot, losing sight of what this new, and ever increasingly accessible, technology could actually be used for? Of course there will be some simple tasks and procedures that we will benefit from being automated, but we need to tread carefully in creating a system that doesn’t just end up becoming another example of how to infuriate customers with an ill thought out automated system similar to those phone ones we all know and love. That’s not to say a ‘conversational interface’ can’t be beneficial in this area, but there is a need to understand the problem that the ‘chatbot’ will be replacing. As with any designed interface, first we need to see whether there is a problem and then, if so, understand how to improve on it. Matthew Honnibal’s wonderful article goes some way into showing exactly how this new technology should be thought about in his article ‘A Natural Language User Interface is just a User Interface’. In his article he breaks down the mechanics of what a ‘LUI’ is and how we can best think of it in relation to something we already understand: ‘GUI’. Providing ourselves with an existent idea to understand a new technology better helps us through this early learning process. Creating something with over reaching goals at this point would be somewhat fruitless. Whatever the concept for ‘conversational interfaces’, whether to augment customer service teams, create a personal profile, or aid in finding you the best restaurant nearby, the UI/UX problem need to be thought of in the same way. 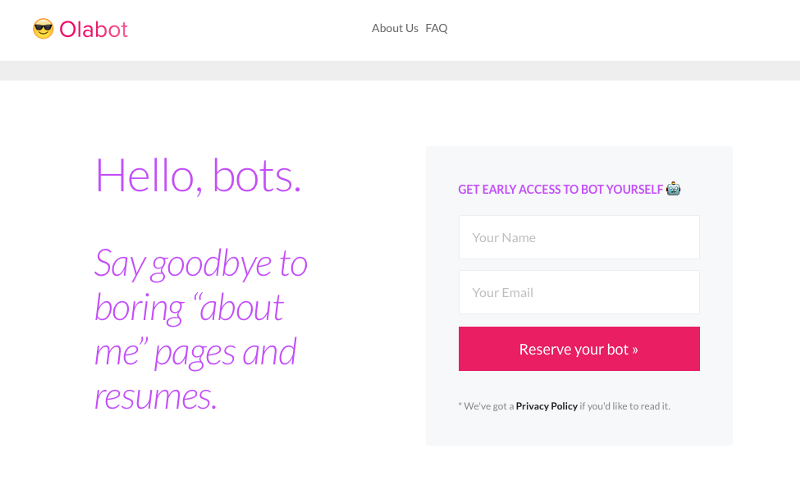 This works best when replacing something simple like an FAQ page or a simple form, as we start from a predefined set of rules that can be followed by the chatbot script. Although we still have to take into account that humans don’t often follow scripts and will take the conversation into uncharted territory very quickly. One of the most interesting uses of a chatbot so far and dubbed as “the world’s first robot lawyer” was created by its 19-year-old , London-born second-year Stanford University student Joshua Browder. DoNotPay helps users contest parking tickets in an easy to use chat-like interface. In the 21 months since the free service was launched in London, DoNotPay has taken on 250,000 cases and won 160,000, appealing over $4m of parking tickets. The application was made possible as the appeal process was relatively simple and formulaic, lending itself perfectly to a ‘conversational interface’, being able to get the necessary information quickly and provide the appropriate advice. Browder’s next goal for his robot lawyer is helping people get compensation for flight delays, aiding the HIV positive understand their rights and acting as a guide for refugees navigating foreign legal systems. Using Bots to circumnavigate otherwise complicated legal systems is a perfect example of how this technology can be applied to something much more interesting than having your own personal sous-chef, a nice try by The Guardian, but it’s no better than simply using Google. In the context of a personal website, a chatbot can be a perfect fit, because the people who visit these websites are there to get to know more about you. And a well-designed chatbot can be the best way to do that. Adrian Zumbrunnen did just that, creating a conversational interface for his personal website, that in place of any navigation, asks visitors what they want to do, tells jokes, and let people get in touch directly with him through email. Following an article posted on here by Esther Crawford, and in my search for full time employment I decided too that creating a chatbot would be a great way to talk about my work whilst reflecting my character and personality. The aim being to give potential employers a better understanding of the person behind the portfolio and for them to get to know the real me a little better. So far it’s got me a few interviews and given me an incredibly interesting project to work on and keep me motivated. And hopefully will help me land a work in the not too distant future. Most recently with the success of Esther Crawford’s personal resume bot (EstherBot), and after receiving hundreds of intros and offers from tech companies, she decided to turn them all down to build Olabot, a service dedicated, in her words to: “Say goodbye to boring ‘about me’ pages and resumes”. Although these were all projects started for fun, it’s clear that a conversational interface in the personal world can add value to something that has often seemed staid and uniform in the past. Using a chatbot can inject personality and interest into something that has, beforehand, been somewhat formulaic. Whether it’s creating something personal or building a social advocacy platform we’re starting to see some good examples of how to use this new technology. Although it’s also clear we have someway to go understanding exactly how best we can use it, and what are the real implications for its use for brands and businesses. Defining the technological framework as an Linguistic User Interface (LUI) seems to be a great start. As having a platform from which to understand and build around will ultimately give us better insight. Ps. Tried to click on the mikebot followed instructions (basically clickEd the button) and computer said no! Wanted to let you know just in case it needed a little NUdge. CHEERS… WORKS FINE FOR ME, WHICH BUTTON DO YOU MEAN? 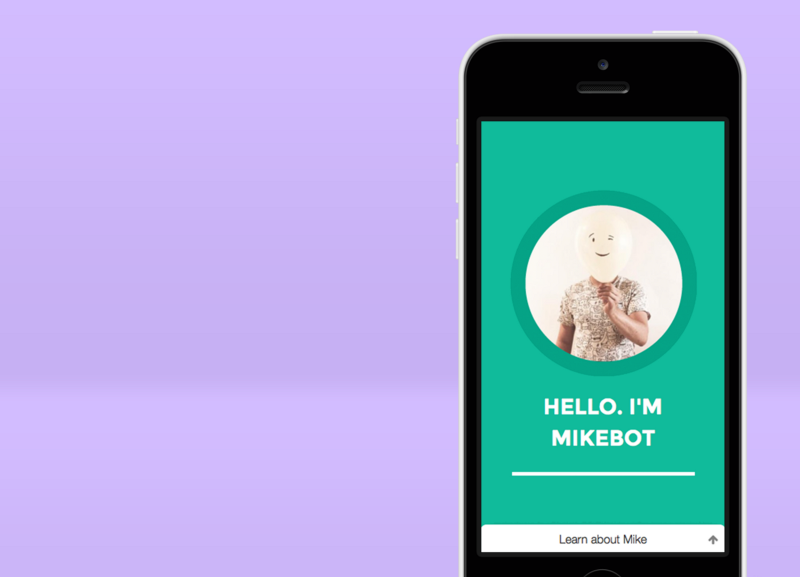 IF YOU CLICK THE LINK HERE THERE’S A CHAT BOX IN THE BOTTOM RIGHT CORNER OF THE MIKEBOT PAGE… NO NEED TO GO TO THE FACEBOOK VERSION. Great article mike, really informative and well written. Thanks for posting.